Are you looking to find Newark NJ Cemetery Services near you in Essex County, New Jersey? Evergreen Cemetery is conveniently located between the three cities of Newark, New Jersey; Elizabeth, New Jersey and Hillside, New Jersey. The back side of our cemetery is located in Newark, NJ. Give us a call (908) 352-7940. 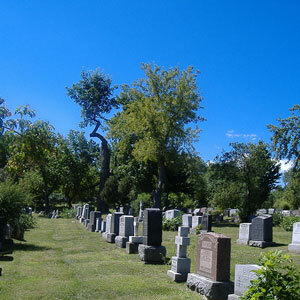 We are a large cemetery with thousands of available burial plots for you to choose from. If you are interested in purchasing burial plots for your family, please stop by and visit us. We will happily show you around the cemetery and give you several options to choose from. One of the advantages of buying pre-burial plots is that you can secure a choice location for your entire family. Pre-burial plots are in a range of different prices based on the location and size of the plots. We even offer other services related to take care of burial plots on a regular basis. Evergreen Cemetery and Crematory also offers cremation services to families in the Newark NJ area. Similar to burials in New Jersey, you must work through a Licensed NJ Funeral Director to cremate or bury persons in the cemetery. Cremation has become a popular method of memorialization as the cost for cremation is considerably cheaper than burials. An added service available to those who are cremated at Evergreen Cemetery are niche entombments and the Garden of Remembrance. Niche Entombments are a nice way to memorialize the cremated remains of loved ones within a beautiful marble and bronze mausoleum located near the front of Evergreen Cemetery. Away from the outside elements and weather, the cremated remains are placed with wall niches. Niche Entombments can be marked by bronze engraved plaques. 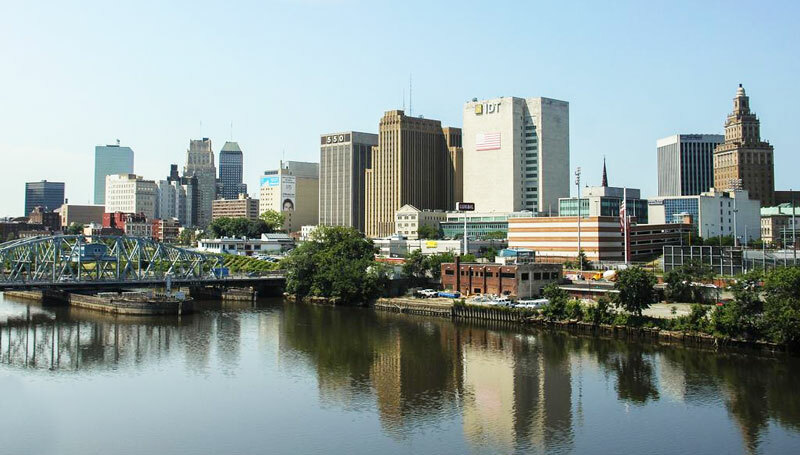 Have you recently lost a friend or loved one in the Newark, New Jersey area? The first step is to contact a licensed funeral director to start making the appropriate arrangements. All burials and cremations in New Jersey must be performed by a Licensed NJ Funeral Director. You can find licensed funeral directors by searching online or by calling us to get a referral to one. Prices regarding burials and cremations vary from funeral director to funeral director. Be sure to check around to find the best option that works for you. Are People of All Faiths Welcome at Evergreen Cemetery? Evergreen Cemetery is a non-denominational cemetery which means people of all faiths are welcome to be buried, cremated here. One of the oldest cemeteries in the United States, Evergreen Cemetery has a rich history of different faiths buried here since 1853. Evergreen is a national and state recognized historical landmark which ensures Evergreen Cemetery will be around for many centuries to come. A beautiful, park-like landscape makes Evergreen one of the most beautiful cemetery’s in the Newark, New Jersey area. How Do I Make An Appointment to Buy Pre-Burial Plots? It’s simple, give us a call (908) 352-7940 to schedule an appointment to tour the cemetery. We will make arrangements that day to have one of our foremen show you the many locations available for purchase. Do I want a plot close to or far away from the road? How big of a plot do I want to purchase (how many persons)? Do I want to bury cremated remains at Evergreen? We will happily advise you on all your options when you come in. These are just a few things you may want to think about before your appointment. Does Evergreen Cemetery Charge for Chapel Services? No. As a thank you to people who wish to bury or cremate their loved ones here at Evergreen Cemetery, we offer FREE use of our chapel for up to an hour. Our newly renovated chapel is located near the Newark NJ side of our cemetery. Persons of all faiths are free to use the chapel upon request. We just need 48 hours advance notice to secure a time for you prior to the date of service. If you are located near Newark, NJ and are in need of a beautiful cemetery to lay your loved ones to rest, we would be honored to service you. During a time of grieving, decisions such as where to bury a loved one become even more difficult. We do our best to always treat our guests with courtesy, privacy and respect. If you are interested in Newark NJ Cemetery Services please contact us, visit us or call us directly at (908) 352-7940 today.